It’s the most wonderful time of the year! And that means that there are lots of fantastic December events in offer in Belfast – from creative crafts to decadent delights. We’ve rounded up some of the best things to do this month in Belfast that will get you into the Christmas spirit! Head to Castle Court where the Christmas Elves are busy creating crafts from all across the world in their workshop! The Elves’ workshop will be open until the 23rd December, when they’ll have to return to the North Pole to help Santa get ready for his big journey on Christmas Eve! 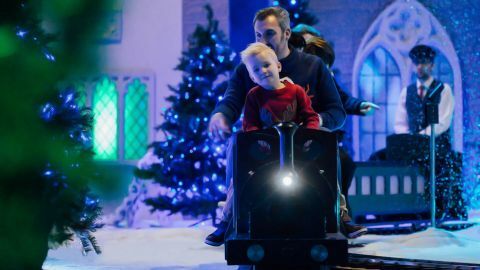 The Winterland Express is a magical train ride which takes you to the enchanted forest and through the icy cavern before reaching the courtyard of the Winterland Castle. See the awe on the young ones’ faces as they travel through the majestic surroundings created at W5 – without having to worry about the cold! 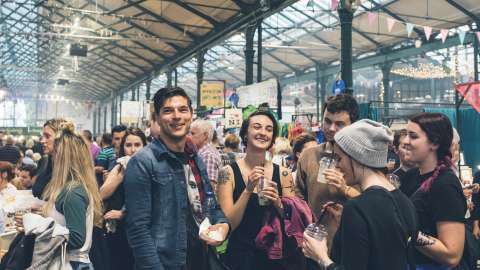 The Twilight Market at St. George’s Market always proves to be a popular event but the Christmas one is that little bit extra special. Browse from over 100 traders and enjoy live music and entertainment, all within the setting of a magical winter wonderland. With activities on offer to keep the kids entertained and a wealth of artisan food and drinks on offer, there’s something for everyone at the market! Belfast Film Festival presents an array of classic Christmas films for your viewing pleasure at their Cinema on the Square event. With all your favourites, including Home Alone, Elf, It’s A Wonderful Life, Love Actually, and even Die Hard, there’s plenty of choice for everyone! Has your pooch been naughty or nice this year? Well this is your chance to find out as the one and only Santa Paws lands at the Dirty Onion this month! There’ll be plenty of paw-some doggy treats and goodies on offer and your furry friend can also have their picture taken with Santa himself! What better way to unwind after a day of Christmas shopping than with an indulgent afternoon tea! 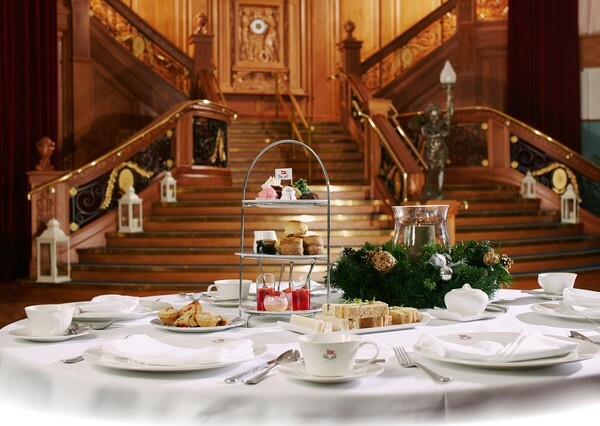 Sitting in the luxurious surroundings of the Titanic Suite, you can enjoy the soothing sounds of live jazz with a suitably seasonal menu of delicate sandwiches and beautiful patisseries served on the finest replica White Star Line crockery. There’s an extensive range of teas to choose from, or why not opt for a bit of festive fizz with a glass of champagne or prosecco. 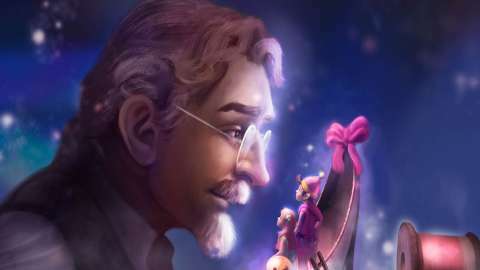 The classic fairy tale gets a twist this Christmas at the MAC. Presented by the award-winning theatre company Cahoots NI, this promises to be fun for the whole family with plenty of laughs and unexpected cameos. There’s plenty of December events in Belfast which will keep you busy right up until Christmas and throughout the New Year. The only question now is – where to start?? Remember that we’ll be keeping you informed of all the best events and latest happenings in Belfast so be sure to follow us on Facebook, Twitter and Instagram to stay up to date!